The only way to change marijuana laws in Texas is through the legislature. Therefore, we are fully reliant on our elected State Representative and State Senators, making constituent advocacy the most critical tool we have as a grassroots movement. 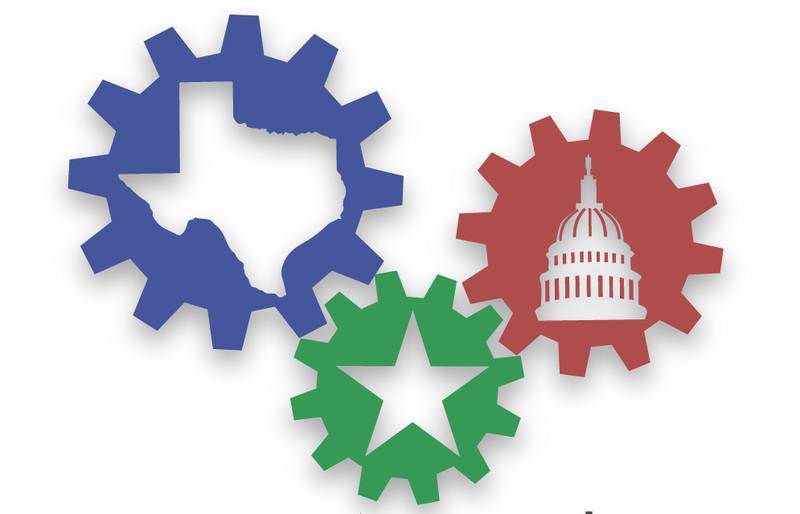 The Texas House of Representatives and Senate meet every two years for approximately 140 days. It is an intense process, over 7,000 bills are filed on average per legislative session. In 2015, Texas passed a very limited low-THC/ high-CBD medical cannabis oil program for Texans with intractable epilepsy called the Texas Compassionate Use Program (TCUP). 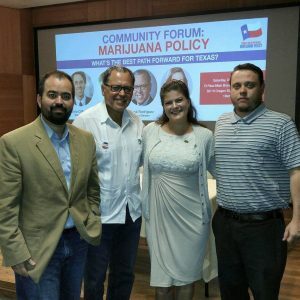 With this small step forward for patients and a huge groundswell of support for removing the criminal penalties for possession of cannabis, Texas NORML thought about the long game, about the most effective way to put pressure on the legislature, activate citizens and prepare for even more progress in 2017. For these reasons Texas NORML decided that moving forward we would work closely with the coalition to take the necessary steps to take our movement to the next level. Heather Fazio, Texas Political Director for Marijuana Policy Project and I teamed up on behalf of our coalition, Texans for Responsible Marijuana Policy (TRMP), to create a curriculum that would lay the foundation for greater direct action in the 85R Legislative Session. We then took this curriculum and content and traveled across Texas to engage with local advocates, officials and coalition partners. We teamed up with Law Enforcement Against Prohibition (LEAP) to have guest speakers at these events. In total, we completed 16 trainings in 2 years. Watch this slideshow of all of our Regional Advocacy Trainings! Each of these trainings brought media attention, keeping positive coverage in the news and affecting public opinion. Additionally, activists were able to change the Texas GOP Platform to include a plank regarding medical cannabis. This was a huge win for the movement with the plank passing by 78%! Traveling across Texas has allowed us to engage with and empower citizen that we would never have met otherwise, to work directly with our sister chapters in organizing the event and keep the issue in the news and the minds of Texans. We have seen extremely positive results from these trainings as the grassroots movement is self-organizing together and working on strategy together. Be a part of history and help end cannabis prohibition in Texas! I can’t believe Texas government does not support medical marijuana! Alcohol is okay until the drunkard behind the steering wheel kills some innocent person. I’m a quadriplegic and I take 7 to 8 gabapentin a day, 1 75mg of Amitriptyline, 3 Alprazolam, 3 hydrocodone, and can’t remember the other 2 because the pain doctor just added them. I use to smoke and have had to quit just in case I got busted here in Brenham,Tx. which is where your name would be put on the local radio and in the local paper. I do this because of my love for Christ, the maker of Cannabis.